Nrf2 Helps Hypertension, High Blood Pressure - Testimonials and 2015 Research. 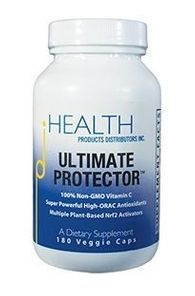 People who have High Blood Pressure report that their symptoms have decreased after taking an Nrf2 activator. Following the testimonials are current research articles that report new information about the cause of Hypertension and how Nrf2 activators can be effective in treating it at the cellular level where it starts. Am J Physiol Regul Integr Comp Physiol. 2015 May 15;308(10):R840-6. doi: 10.1152/ajpregu.00308.2014. Epub 2015 Mar 11. Resveratrol restored Nrf2 function, reduced renal inflammation, and mitigated hypertension in spontaneously hypertensive rats. Compelling evidence supports the role of oxidative stress and renal interstitial inflammation in the pathogenesis of hypertension. Resveratrol is a polyphenolic stilbene, which can lower oxidative stress by activating the transcription factor nuclear factor-E2-related factor-2 (Nrf2), the master regulator of numerous genes encoding antioxidant and phase II-detoxifying enzymes and molecules. Given the role of oxidative stress and inflammation in the pathogenesis of hypertension, we conducted this study to test the hypothesis that long-term administration of resveratrol will attenuate renal inflammation and oxidative stress and, hence, progression of hypertension in the young spontaneously hypertensive rats (SHR). SHR and control [Wistar-Kyoto (WKY)] rats were treated for 9 wk with resveratrol or vehicle in their drinking water. Vehicle-treated SHR exhibited renal inflammatory injury and oxidative stress, as evidenced by glomerulosclerosis, tubulointerstitial injury, infiltration of inflammatory cells, and increased levels of renal 8-isoprostane and protein carbonylation. This was associated with reduced antioxidant capacity and downregulations of Nrf2 and phase II antioxidant enzyme glutathione-S-transferase (GST). Resveratrol treatment mitigated renal inflammation and injury, reduced oxidative stress, normalized antioxidant capacity, restored Nrf2 and GST activity, and attenuated the progression of hypertension in SHR. However, resveratrol had no effect on these parameters in WKY rats. In conclusion, development and progression of hypertension in the SHR are associated with inflammation, oxidative stress, and impaired Nrf2-GST activity in the kidney. Long-term administration of resveratrol restores Nrf2 expression, ameliorates inflammation, and attenuates development of hypertension in SHR. Clinical studies are needed to explore efficacy of resveratrol in human hypertension. Inhibition of ROS and inflammation by an imidazopyridine derivative X22 attenuates high fat diet-induced arterial injuries. Obesity is strongly associated with the cause of structural and functional changes of the artery. Oxidative stress and inflammation play a critical role in the development of obesity-induced cardiovascular disorders. Our group previously found that an imidazopyridine derivative X22 showed excellent anti-inflammatory activity in LPS-stimulated macrophages. This study was designed to investigate the protective effects of X22 on high fat diet (HFD)-induced arterial injury and its underlying mechanisms. We observed that palmitate (PA) treatment in HUVECs induced a marked increase in reactive oxygen species, inflammation, apoptosis, and fibrosis. All of these changes were effectively suppressed by X22 treatment in a dose-dependent manner, associated with NF-κB inactivation and Nrf-2 activation. In HFD-fed rats, administration of X22 at 10 mg/kg significantly decreased the arterial inflammation and oxidative stress, and eventually improved the arterial matrix remodeling and apoptosis. X22 at 10 mg/kg showed a comparable bioactivity with the positive control, curcumin at 50 mg/kg. The in vivo beneficial effects of X22 are also associated with its ability to increase Nrf2 expression and inhibit NF-κB activation in the artery of HFD-fed rats. Overall, these results suggest that X22 may have therapeutic potential in the treatment of obesity-induced artery injury via regulation of Nrf2-mediated oxidative stress and NF-κB-mediated inflammation. [INTERPRETATION: The drug X22 works the same way as natural curcumin (found in turmeric) - it increases Nrf2 activity, which significantly decreases the inflammation and oxidative stress in arteries, which decreases the high blood pressure characteristic of obesity from a high hat diet]. 1The Unit of Clinical Nutrition, Tel Aviv Sourasky Medical Center, Affiliated to the Sackler Faculty of Medicine, Tel Aviv University , Tel Aviv , Israel. Abstract Consumption of polyphenol-rich food and food ingredient such as grape and grape products improved various cardiovascular parameters. In this study, we investigate the effect of dietary daily consumption of red grape cell powder (RGC) on blood pressure (BP) and flow-mediated dilatation (FMD) as well as on oxidative stress in 50 subjects with prehypertension and mild hypertension. The subjects were randomized into groups that consumed 200, 400 mg RGC or placebo daily for 12 weeks. RGC consumption was associated with an improvement of FMD (p = 0.013). There was a significant decrease in lipid peroxidation (p = 0.013) after 12 weeks in a combined RGC-treated group. The diastolic BP decreased significantly in the 200 mg RGC group compared to the placebo group (p = 0.032). Our results indicate that a daily supplementation, of red grape cell powder, for 12 weeks affects endothelial function, diastolic BP and oxidative stress without any adverse effects. The Blood Pressure Solution is a book that teaches what foods to eat that normalize blood pressure within 30 days. Many people have gotten to normal blood pressure in 7 days, and their doctors have taken them off their blood pressure medications. If you are sick of the side effects of meds and want to know what normal store-bought foods can fix your condition, this info will help.